Despite being a member of the European Union since 2004, Poland’s currency for now is still the zloty (PLN). The currency has proven reasonably robust despite the current world economic climate. Credit cards can be widely used in shops and restaurants, but less likely so in local bars. There are plenty of ATMs (known as Bankomats) where one can withdraw cash using credit or debit cards. For those wishing to exchange money, the best value are probably the specialist "Kantors" (whose signs, together with their rates, can be seen around the city). Hotels, airports and, to a lesser extent, banks offer less attractive rates, particularly for smaller sums. Try and keep some change and low denomination bills with you. A lot of small shops and bars might refuse to change a 100zl note for a small purchase. 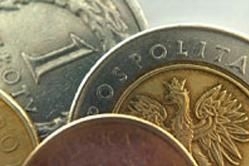 The currency has been relatively stable, with an exchange rate fluctuating between 2 and 4.5 złoty for a United States dollar.